USAID Uganda's Sheila Desai and USADF's Taibu Nakueira pose with the beneficiaries of the grants at Serena Hotel. 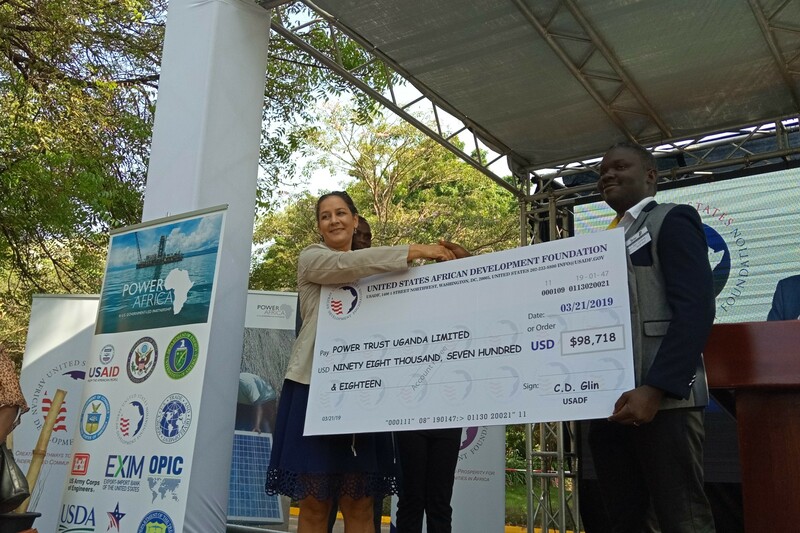 The United States Africa Development Foundation (USADF) through its Power Africa program has granted USD 400,000 (Shs 1.4bn) to four Ugandan projects that will extend renewable energy to three refugee settlements across the country. 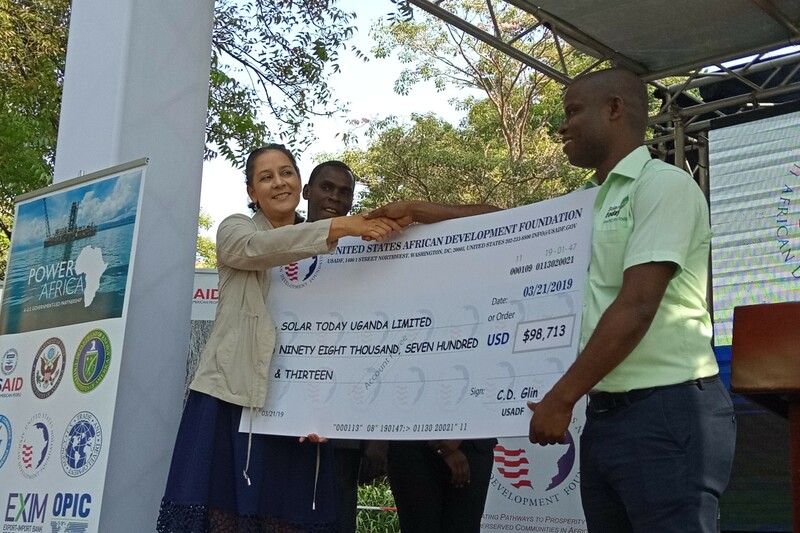 The grants were handed over on Thursday in Kampala by Sheila Desai, the Economic Growth Office Director at USAID Uganda. 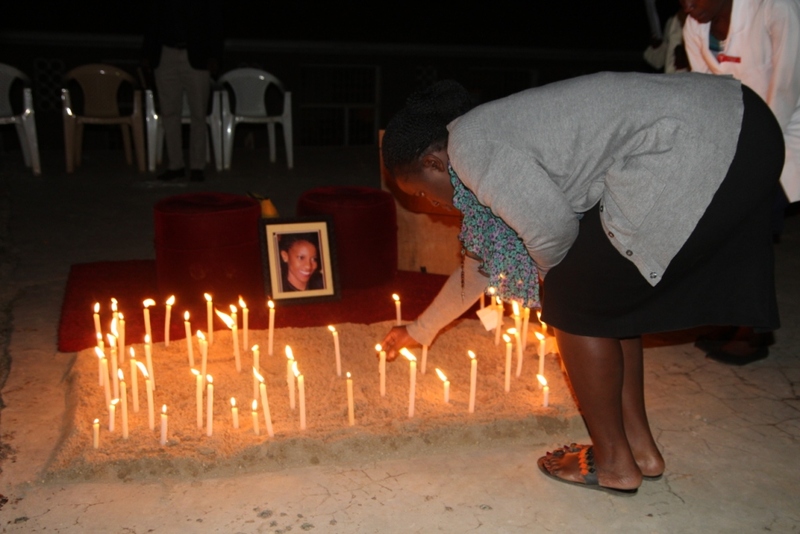 She was representing the U.S Ambassador to Uganda, Deborah Malac. 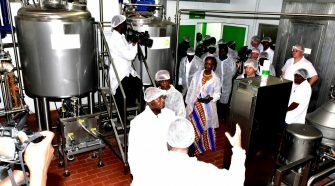 In her remarks delivered by Desai, the U.S Ambassador said the grants are meant to support energy solutions that can be used by Ugandan households and businesses to provide electricity in areas where the national grid does not reach. “This demonstrates the innovation we support through Power Africa, which furthers our partnership in improving access to electricity, and ultimately helping to change the socio-economic destinies of communities around the world,” Ambassador Malac said. “We recognize that the vulnerable populations, especially refugees in settlements and their host communities, also need access to clean energy to improve production, education, health services, access to clean water and the overall quality of life. 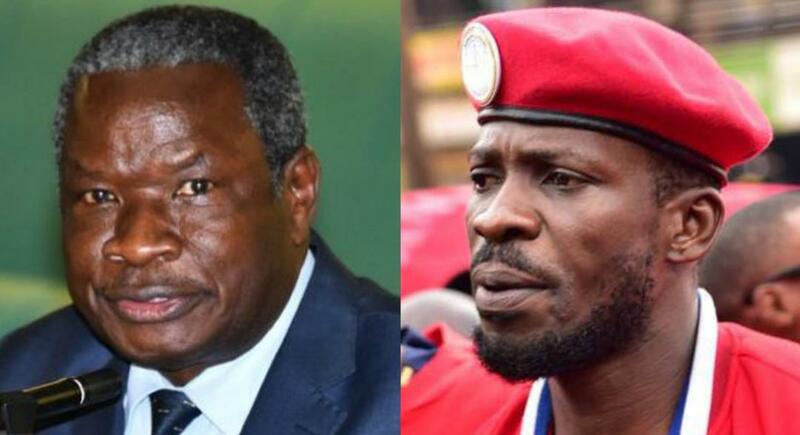 Uganda hosts over a million refugees”. The U.S envoy noted that most of the refugee settlements do not have access to safe and reliable electricity adding that providing energy in refugee settlements, coupled with connectivity and digital tools, will improve the resilience of refugees and their host communities, and move them towards self- reliance. 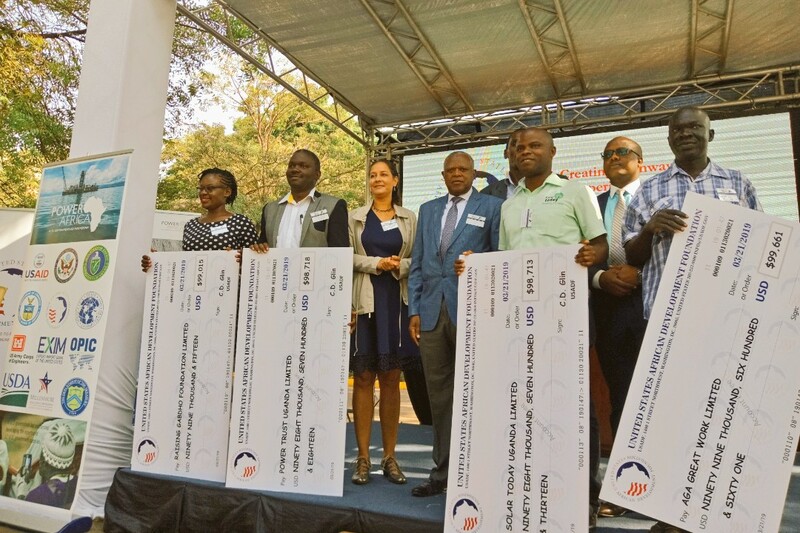 Each of the four winners of the 2018 Smart Communities Coalition Off-Grid Energy Chais off-grid challenge received a grant of USD 100,000 (Shs 370m) that will support their projects. 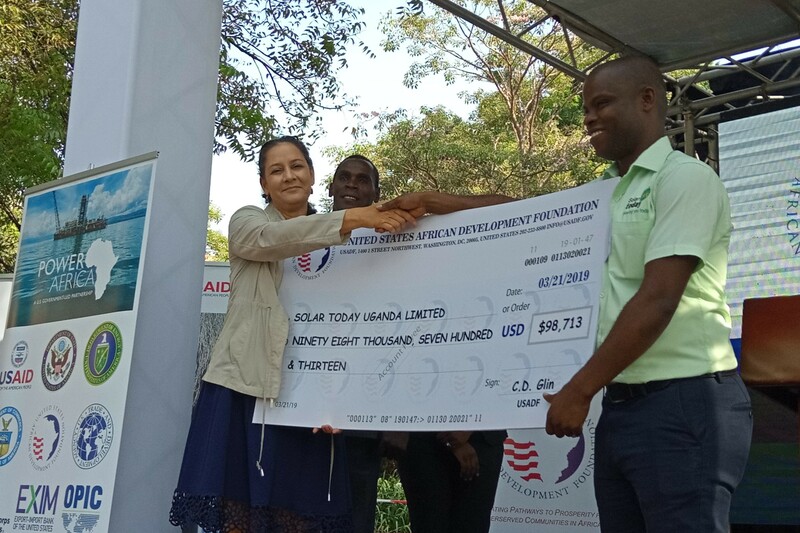 Beneficiaries of the grants include Alex Kainkiza of Solar Today who received USD 100,000 that will be used to provide remote controlled solar systems for businesses in Rwamwanja refugee settlement without requiring an upfront deposit and at a 10% discount. 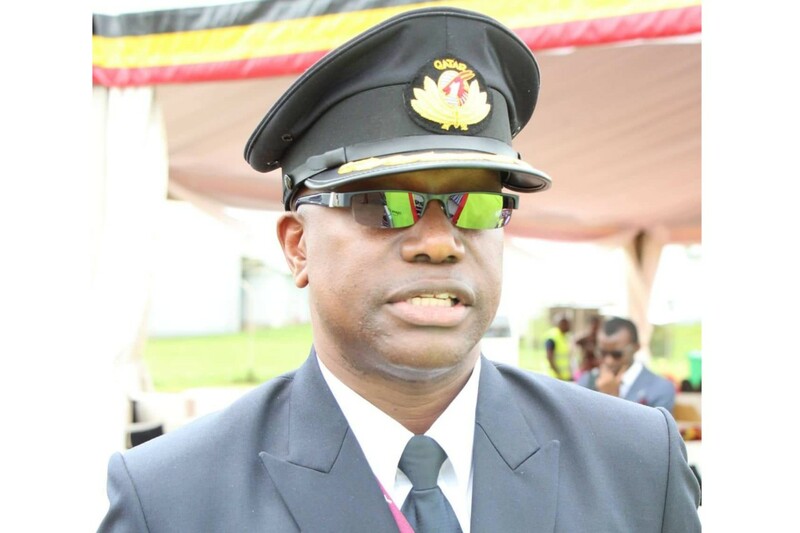 Tonny Ssimbwa is the Managing Director of Power Trust Uganda Limited. With the grant of USD 100,000, Power Trust will set up stand alone business hubs in Kiryandongo refugee settlement. 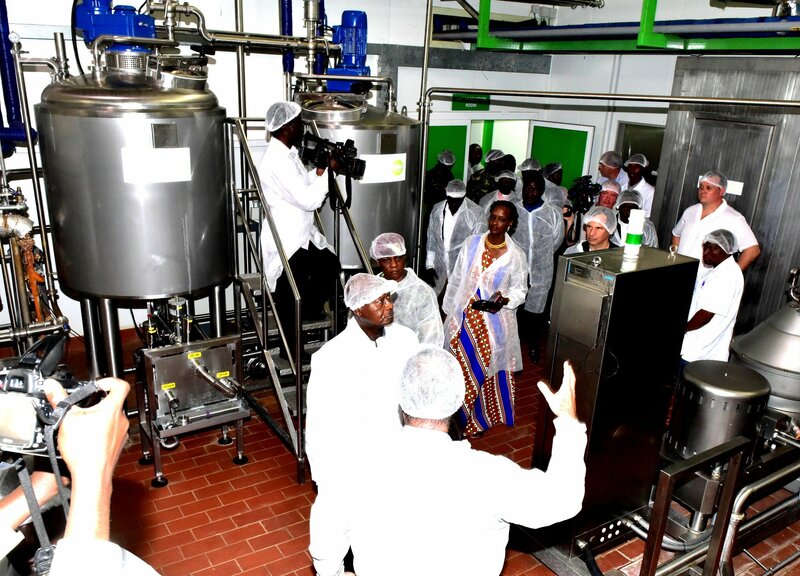 Angusto Toah is the Managing Director of Aga Great Work Limited, a company that operates in Yumbe, West Nile. Aga Great Work plans to establish a solar-powered minigrid that will supply electricity to Bidi-Bidi refugee settlement, establish productive use capacities in the settlement and the host community. 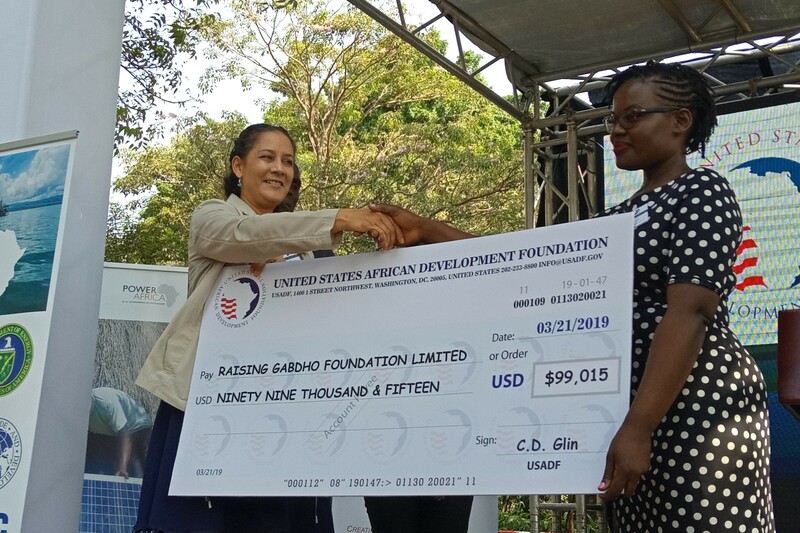 The other beneficiary is Sarah Basemera, the Managing Director of Raising Gabdho Foundation, a Ugandan women owned non-governmental organization (NGO) that unlocks off grid solutions in rural communities. Her Foundation will provide access to clean cooking solutions in Bidi Bidi refugee settlement. 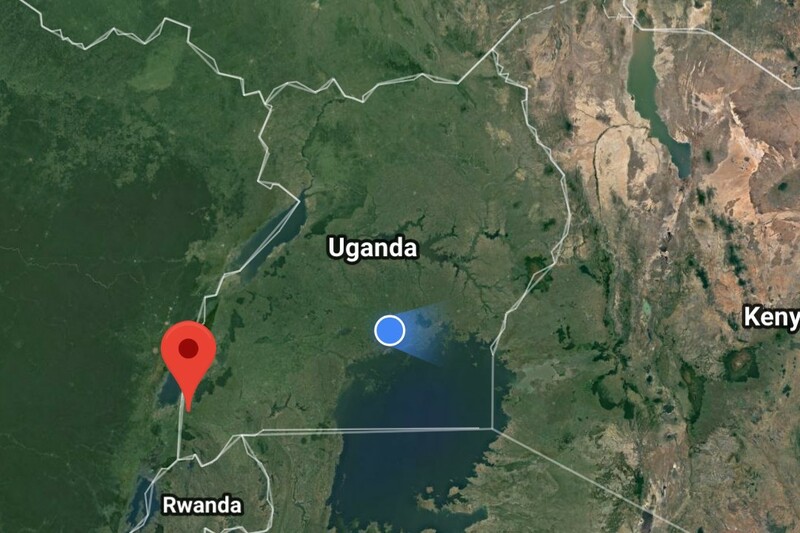 The event held at Kampala Serena Hotel was also attended by Taibu Nakueira, the USADF Country Program Coordinator and the Chief Executive Officer of Uganda Solar Energy Association (USEA), Joyce Nkuyahaga.